Having a clean decanter is one of the most important things you should keep in mind when storing your wine. 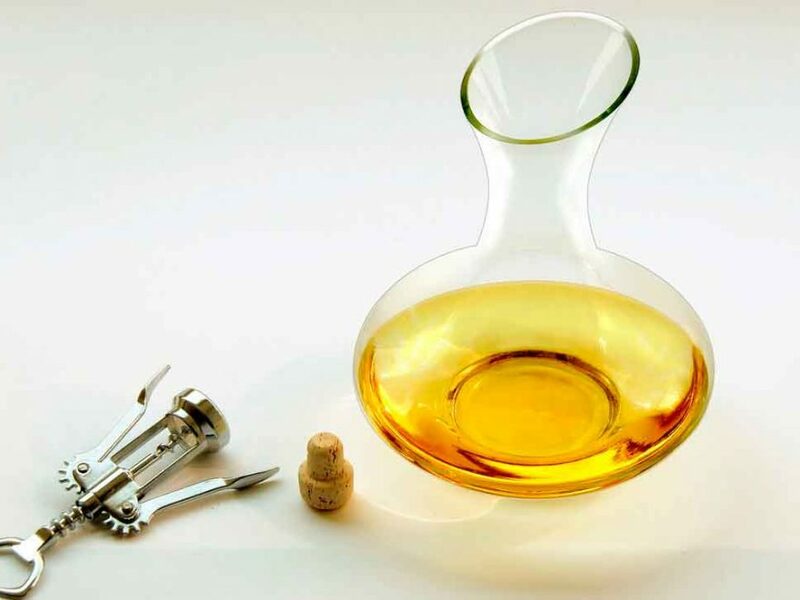 With the right kind of tools and measures, cleaning your decanter does not need to be a struggle. Here are some of the most straightforward tips on how to clean a decanter at home. 1 Why do you need to clean your decanter? Why do you need to clean your decanter? Whether or not you like to enjoy a glass of wine every night from your decanter, the glassware is still prone to developing stains and spots from the inside. Moreover, dust particles and dirt might make your beautiful decanter look foggy. It not only ruins the aesthetic value of the decanter but also affects the taste of the wine inside. Keeping your decanter clean is an essential aspect of making sure you get the best out of your wine. The first thing you need to do is to soak the inside of the decanter in some warm water to loosen up any red wine residue that might be remaining inside. Do this by pouring some warm water (not boiling water) inside the decanter and allowing it to soak for a few hours. You should also try and use soft water instead of hard water to do this, as hard water might leave behind marks or streaks. Swirl the water inside the decanter and then rinse it out. In a bowl, mix a bit of lukewarm water and a teaspoon of baking soda and create a thin mixture. Pour this mixture inside the decanter and allow it to sit undisturbed for about 30 minutes. Once again, swirl the liquid inside the decanter and rinse it out thoroughly in cold water. Make sure you rinse out the decanter well before allowing it to dry. You can also clean the outside of the decanter using steam. Carefully hold the decanter over hot water (make sure you do not hurt yourself) and allow the decanter glass to get fogged up with the steam. You can use your steamer for this step. Now, using a microfiber cloth, gently wipe the outer surface of the decanter to remove any dirt or marks. If needed repeat this step until every bit of stain is completely removed. Fill up your decanter with warm water and allow it to sit for a few minutes. Swirl the water around and then rinse it. Do this step a few more times. Remember to use only warm water and not boiling water for this step. For the next step (do this only once), fill the wine decanter up with hot water, swirl it around, and dispose of it. Now, fill up the decanter with warm water again. Do not fill it up all the way to the top, instead, just a little above the baseline. Add one cup of uncooked rice into your decanter. Start swirling the rice around in the decanter. Do this for a while, and you will find the rice hitting all of the corners of the decanter and removing the stains, streaks, and marks from the inside. Empty your wine decanter, rinse it thoroughly with water and allow it to dry naturally. In a bowl of warm water, add white distilled vinegar and mix well. Pour this into your decanter and allow it to sit for just a few minutes. Now, swirl the liquid around so that it reaches all the corners and edges of your decanter. Dispose of the vinegar water solution and rinse out your decanter thoroughly. Now, if you are still finding some vinegar smell lingering behind, you can add some warm water to your decanter and put in a few drops of a mild dishwashing liquid. Use the swirling method once again and rinse out your decanter thoroughly. Fill up your decanter with hot water and allow it to sit for a while. The hot water soaking will loosen up any leftover wine residue on the inside of your decanter and make it easier to clean. Rinse out the water and fill your decanter with warm water again. Now, add some mild dishwashing detergent into the decanter. Using a bottle brush, brush along the sides and edges of your decanter. Don’t forget to scrub the inside of the neck of the decanter as well. Once you are satisfied, dispose of the soapy water solution and rinse out the decanter thoroughly. Once you have done this, you can add a tiny amount of bleach and let it sit for just about 10 minutes inside the decanter. This step will sanitize the inside of your decanter. Remember to rinse out your decanter thoroughly after this step.